Sewing Pattern - This big an cuddly octopus would love to be in your home. At 10" tall and 10" wide it makes a great quirky accent in a room, or a perfect gift for baby. 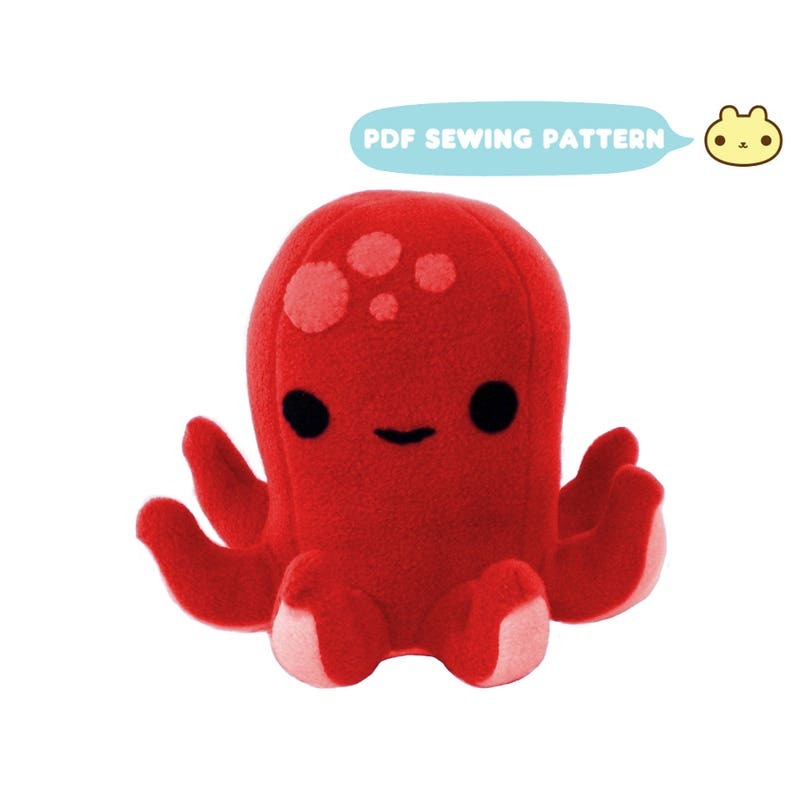 You can make your very own plush octopus using this octopus sewing pattern!